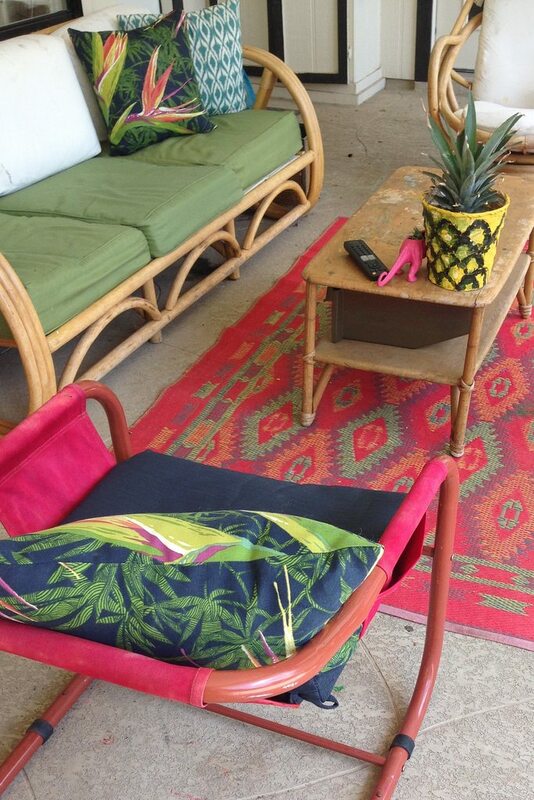 The Texas sun can wreak havoc on outdoor furniture. Given this vintage chair had probably sat in the sun for over 30 years before I rescued it from the Salvation Army. The attached canvas on the chair was in fine physical condition, but color wise things were super faded. Nothing a bottle Tulip One-Step Extra Large Fabric Dye can’t fix. Hop over to I Love to Create for my full tutorial. Posted August 22, 2014 & filed under Crafts, Home Décor Crafts, I Love to Create, Plant Crafts.